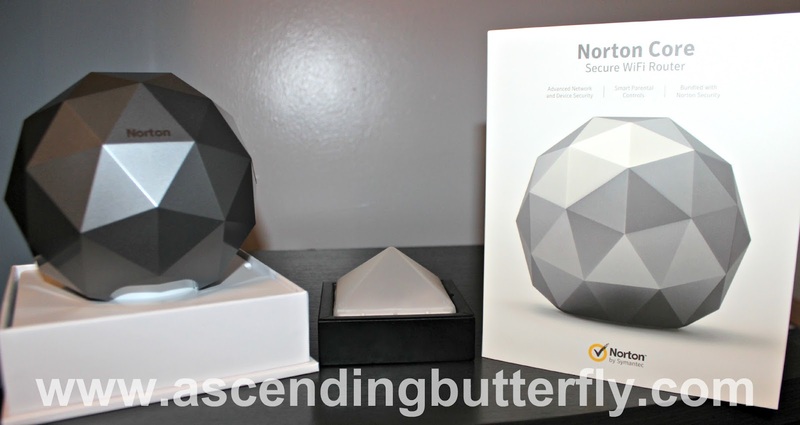 Ascending Butterfly: #ad Objet d'art or cool new #tech toy? I first spotted the @NortonOnline Norton Core™ Secure High Performance Wi-Fi Router at #PPE2017 then @BestBuy Claus delivered one right to me! #ad Objet d'art or cool new #tech toy? I first spotted the @NortonOnline Norton Core™ Secure High Performance Wi-Fi Router at #PPE2017 then @BestBuy Claus delivered one right to me! I got to attend PDN PhotoPlus Expo this year in New York City, and one of the most unique non-photography items I saw at the show could easily pass for an Objet d' art! The booth was fun, you went to each demo station and when they completed the product demo you collected a raffle ticket, the more product demos you experienced the more raffle tickets, this was the product that stood out most from their booth and I garnered as many raffle tickets as I could trying to enter to win it. While I was not a lucky winner, not shortly after this came up as a blog campaign and I jumped at the chance! The PDN PhotoPlus Expo is tough to recap in one post as there was so much to see and do, so I will try to bring you pieces of what I saw there a bit more organically and try not to overwhelm you guys with a post that would take an hour to read/digest. What is multi operating system friendly, poses as BOTH a Router and Security Program for not only your home devices but while on the go too? Above: It blends so well into my modern zen home decor that I took a shot of it with my favorite scent warmer, without the box there telling you what it is, it literally would just blend into the background with my current decor. Oddly enough my living room walls are painted grey right now, so the Graphite Grey Color on this unit really does blend into my living room perfectly! Tech can be both functional AND fashionable. If someone special in your life is getting a new computer, there are certain things you know you need for it, a security/protection software package and a router, so why not get them BOTH in one box? Above: Another shot sans my scent warmer! I actually have mine situated right next to my smart TV as my TV goes online to update itself and it's apps often! Ƹ̵̡Ӝ̵̨̄Ʒ - EASE OF SET-UP - Bluetooth-enabled iOS/Android device with a mobile data plan is needed. Download the Norton Core app to complete set up. Modem required. Ƹ̵̡Ӝ̵̨̄Ʒ - Bandwidth Optimization - Does one device need a bit more juice than the other? You can give priority to any device in the house with a touch of a button! Downloading music or movies? Give that device the extra bandwidth so the downloads go faster. When you turn in at night, give it to the devices you are leaving running updates or to your smart TV. This by far has to be one of my favorite features! Ƹ̵̡Ӝ̵̨̄Ʒ - SMART PARENTAL CONTROLS - Manage screen time by setting content filters or daily limits on usage. And when needed, pause the Internet. Not a feature I need as there are no baby butterflies here, but it is great to know it's there! The ability to pause the network entirely will leave you drunk with power! 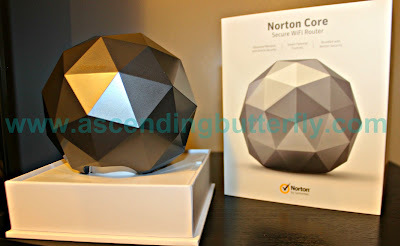 Ƹ̵̡Ӝ̵̨̄Ʒ - SECURITY SCORE- Butterflies your credit isn't the only thing with a score, your network and home security gets one too with Norton Core, but it doesn't just score your security, it offers insight and tools to help improve your score. Your devices and smart home can now breathe a sigh of relief! Norton has always been a reliable security product for me, and now with the added functionality of a 'two-in-one' where I get both a router and security in a package that is sleek, modern and actually quite pretty to look at, what's not to love? I have always loved that Norton protects my devices at home and on the go and it is the brand of security software I regularly use, even paying for it over the free security software that comes with my Cable! I had a different security program for the past few months because I recently changed from a desktop to a gaming rig laptop and that came with it's own protection built in, but while I have no complaints about the security software that came with my gaming rig (which I did purchase at Best Buy, again with MY money, not gift cards or sponsored), I will say I am very happy to be back with Norton Again! I find Norton easy to use, it's great about updating itself and playing nice with my operating system too! It pretty much takes care of itself and my network so I can worry about other things! (Like Photo Editing, Traveling, Writing, Blogging, Life Coaching, Social Media Consulting, and attending fantastic events and tradeshows in NYC). I have been making it a point to keep you guys updated over time how products perform like the earbuds I reviewed that literally kept dying at the one year mark (Remember I'm already 8 years into blogging here at Ascending Butterfly), I like to check out my monthly reports with a security software, so I would like to tell you guys how my score changes over time with this one which I hope will provide you with an idea of how well the product performs over time. This butterfly is always thorough! Spill Butterflies: How old is your current router? What Security Program/Software do you use? What is your current brand of router? Are you happy with it? Have you experienced dead zones for devices in your own home? FTC Disclosure: I am part of Best Buy's Blogging Program and I received product at NO cost to me for Editorial Consideration and I also received a gift card, however all opinions are 100% my own! I am disclosing this in accordance with the Federal Trade Commission 16 CFR, Part 255 - Guides Concerning the use of endorsements and testimonials in advertising, you may check our Giveaway & Disclosure Page for additional information regarding Ascending Butterfly Disclosure. Things that lure this butterfly out of her cocoon: Technology, Travel, Fashion, Beauty, Spirits (Sparkling, Champagne, Prosecco, Sake, Bourbon, Craft Brews), Foodie Fun - really I'm such a *simple girl*. We actually have one of these routers, and we love it! It blocks so much garbage! I'd be interested in this new tech toy! If it's easy to set up, and provides BOTH a router and a security program, then I'm definitely interested! A "toy" that's both a router and a security program? Why not? I love this new gadget! That photo is different and such a great addition to any home. I have an older router but have had very good service and security up until now. I am loving all the features of this product and I also like the sleek design that it has! It would be a joy to have at home! We have a a lot of problems with our router. I need to check this out as it sounds like the perfect solution. This sounds awesome! We need something like this in our house to help protect us from cyber attacks. I like that it blends into décor so well. I hate big, bulky technology pieces that are obvious. I think that is looks really modern and stylish! Much better than my boxy router. I am sure it would work much better than my isp provided router too! This looks so much cooler than our wifi router. It could also be home decor. That is an awesome toy for the techy. I like seeing where this technology can go. I love this technology. When a tool does more than one job, I am for it! That looks like a pretty cool gadget. I love the sleek designs everything is being made with this year. Very inconspicuous. I'm am loving this router not only that it does multi..jobs. it looks great with my décor . Wow. What a pretty thing that is! I would not even think of it being a router if I wasn't told that it was! I am sure others will follow suit. I can't wait to see what the competition would come up with. 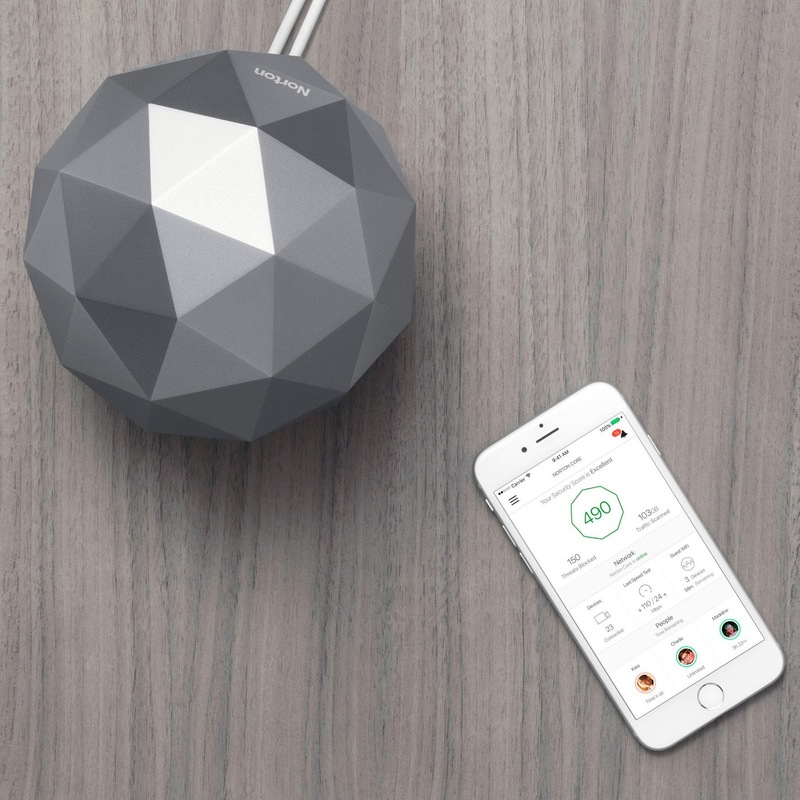 I love the design of the router, though I'm not sure I'd pay $10/month to use it.